Doug Banks, who was a radio host at several stations, including Chicago's V103 and WGCI, and appeared on ABC7's ''190 North,'' has died from complications with diabetes. He was 57. CHICAGO (WLS) -- Doug Banks, who was a radio host at several stations, including Chicago's V103 and WGCI, and appeared on ABC7's ''190 North,'' has died from complications with diabetes. He was 57. Banks was a "190 North" contributor for over a decade. Born in Philadelphia, Banks hosted radio shows at stations in L.A., San Francisco, Las Vegas, Detroit and finally V103, his website says, before signing on to do a nationally syndicated show. His show airs on V103 from 2-6 p.m. on weekdays. Banks began his broadcasting career on his high school's radio station in Detroit, Michigan. He then moved on to the big time in Motor City radio. Leaving Detroit, Doug became a hit on stations in Los Angeles and San Francisco. Chicago had him from 1986 - 1994 both at WVAZ and WGCI. "I approached Doug Banks to get him to work for me," said Marv Dyson, retired radio executive for both stations. "And I had Tom Joyner in the morning and Doug in the afternoon, and it took off and they were known as the Turntable Brothers, and we did a lot of TV commercials and all that, and the station was no. 1 in the market for too many years to count." Then ABC Radio Network offered Banks the opportunity to do a nationally syndicated show and Banks' reputation as a radio icon took off. His talent and personality were too big to ignore, and soon he joined WLS-TV as the host of "190 North," as well as appearing on the New Year's Eve broadcasts and coverage of the annual Bud Billiken Parade. Banks last appeared on "190 North" in the summer of 2014. Banks took a hiatus from his show over the winter, returning in February sounding optimistic for the future. Banks is survived by two college aged daughters and two adult children. A memorial service is planned for 10 a.m. on Saturday, April 16 at Sparkman Hillcrest Funeral Home & Memorial Park in Dallas, Texas. Chicago Mayor Rahm Emanuel released a statement on Banks' passing saying, in part, "Doug's infectious personality, coupled with his passion and perspective on the air brought joy to countless Chicagoans and left an indelible impact on our city. The thoughts of the entire City of Chicago are with Doug's family, friends, and legions of devoted listeners during this difficult time." "We lost our radio brother today, a friend of all of ours, not just a great radio man but a great man, Doug Banks," V103 radio host Joe Soto told his listeners Monday. As news of Banks' death spread, his friends rallied and took to the airwaves to share their memories of a radio legend who, for more than three decades, inspired so many others to follow in his footsteps. BREAKING NEWS: I am stunned to hear of the death of Doug Banks. I heard he was not doing well and had failing kidneys. This is just so hard. "Doug Banks was definitely one of my mentors, one of the guys who showed me how radio should be done. He did it right," Soto said. 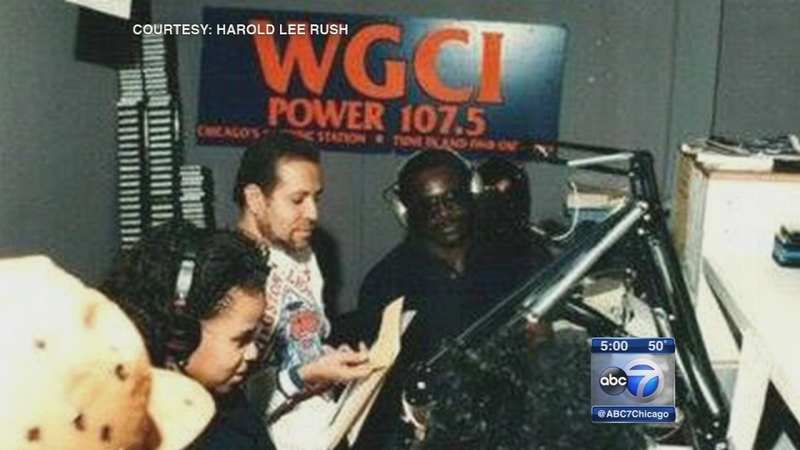 In the 1980s, Banks hosted the morning show "Banks and Company" on WGCI with Harold Lee Rush. "A few weeks back, a bunch of us and Doug called in. We were on the radio for about an hour and it was really fabulous. We got to talk about some of the radio history we made here in Chicago," Rush said. Radio personality Ramonsky Luv is also one of Banks' WGCI alums. Monday, as he took calls from friends and perfect strangers, Luv looked back on what he believes was Banks' greatest asset. "His legacy was always inclusive to the listeners. He loved the listeners," he said. Banks was funny and talented, but also caring. Bionce Foxx remembers meeting him as a teenager when she was invited to perform a song on his morning show. "After the performance, what I really love and remember about Doug is he looked me dead in the eye and he said, 'You have a voice for radio.' Years later I'm on a radio station right before the Doug Banks Show. How cool is that?" she said. Stories like that are being repeated all over Chicago today from all of Banks' radio friends, along with a lot of laughs interspersed with the sadness.